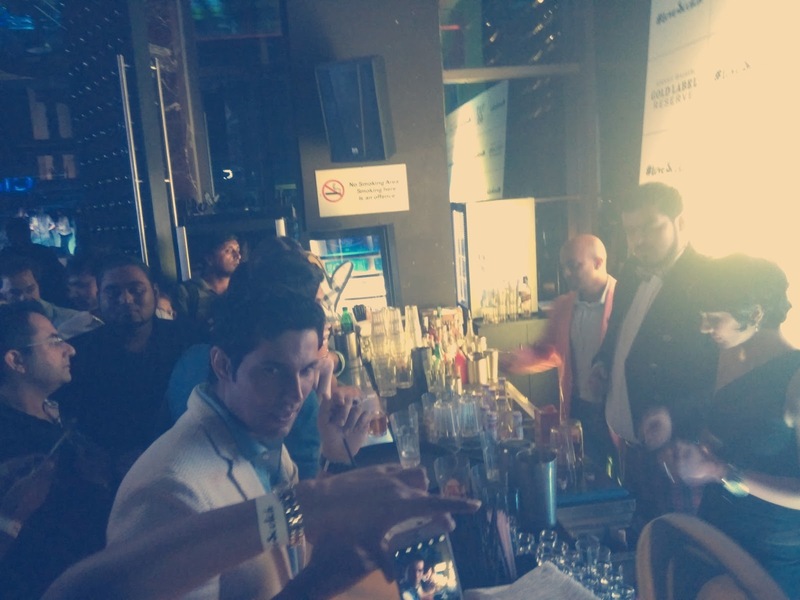 Every morning Bangalore Times features a few celebrities that were found partying in Bangalore and I always wondered what happens in such parties. This weekend I got to be a part of one such party that took place on World Whisky Day. 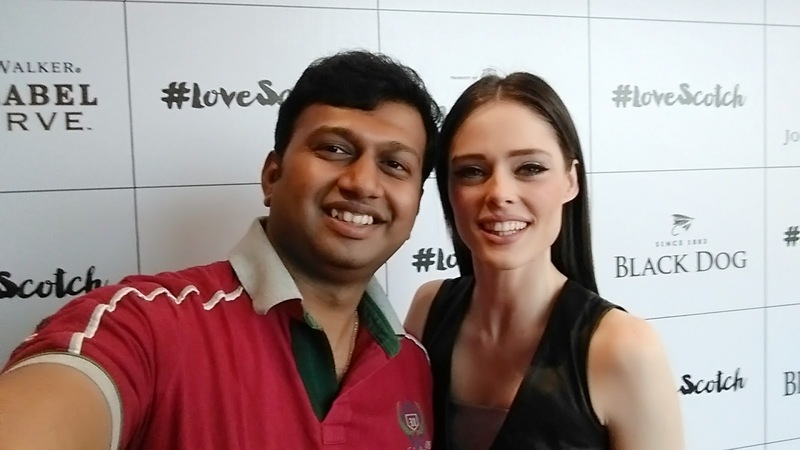 The event featured the Intenational Supermodel - Coco Rocha. 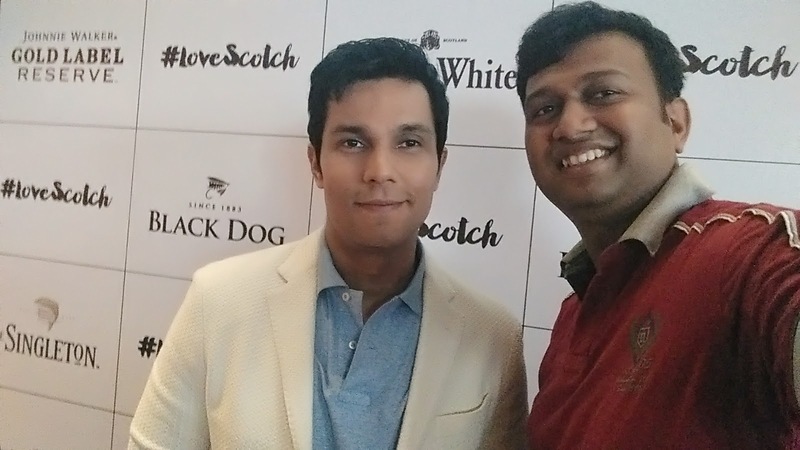 Coco is the global brand ambassador for #LoveScotch tour and landed in Bangalore after taking part in various events in Philippines. 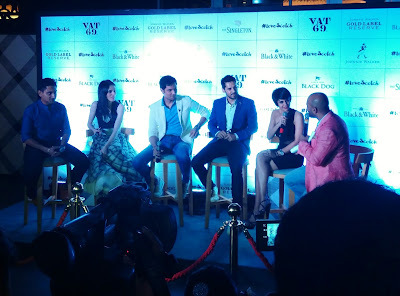 Apart from Coco, the event featured the actor/anchor Mandira Bedi, Randeep Hooda and the local boy Dino Morea. 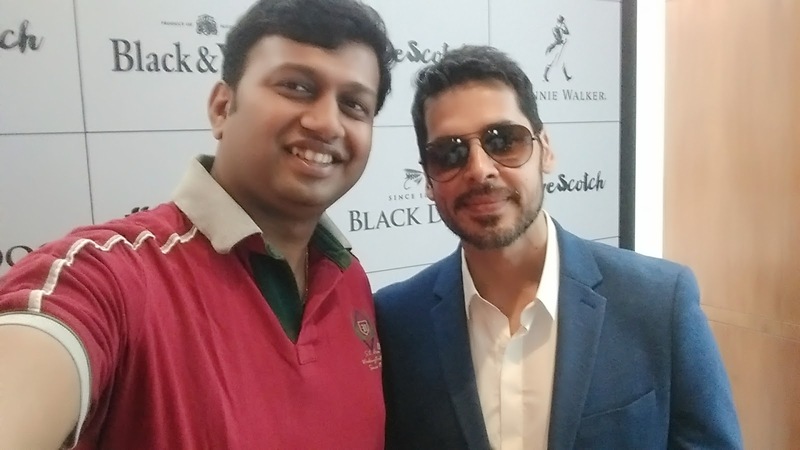 We bloggers were allowed to interview these celebrities and click pictures with them. Each of us had different questions that we wanted to ask them. 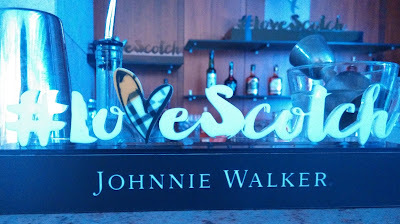 Since the event was about Scotch, my question was related to how they liked their Scotch. To be specific, I asked them do they like it 'on the rocks' or they preferred cocktails. 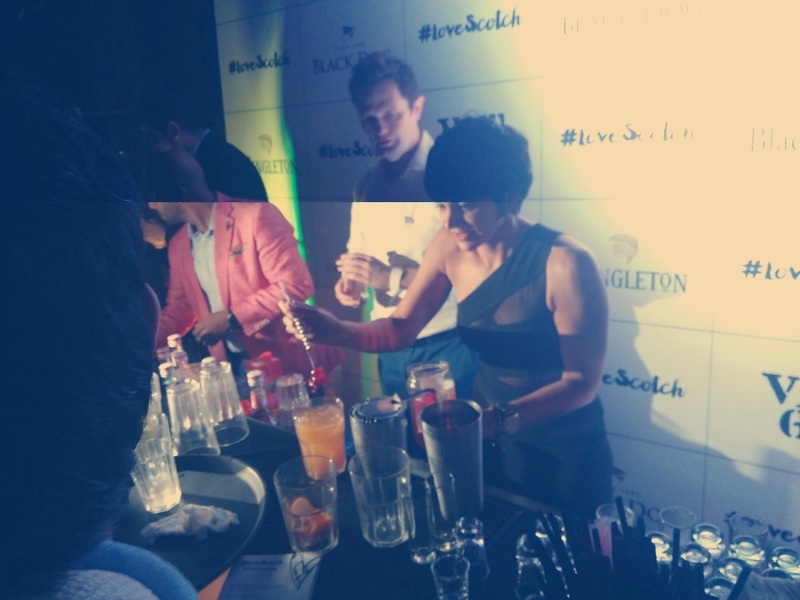 I first met Mandira Bedi and her answer was plain and simple - On the rocks or nothing. She said she might drink cocktails if someone makes it and asks her to drink it with enough arm twisting. Next I spoke to Coco who felt that there exists a taboo that Scotch is a gentleman's drink which is not true. 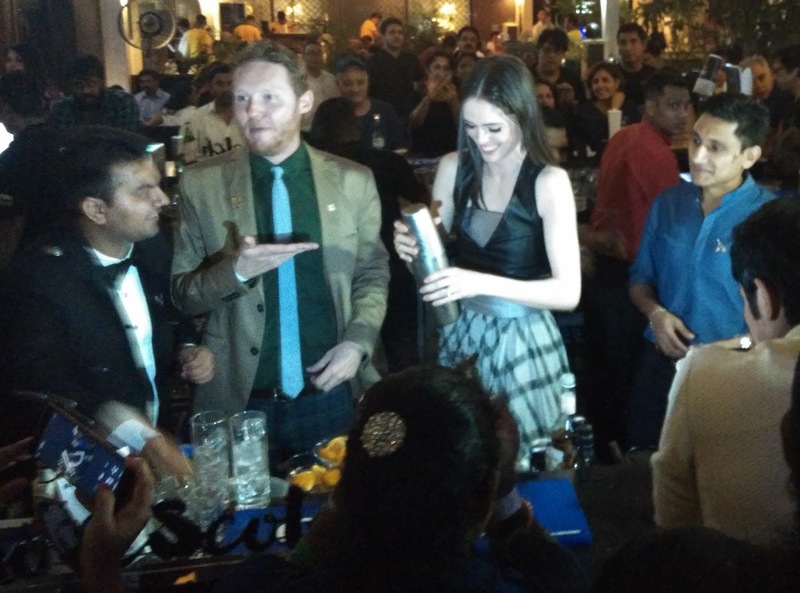 She personally preferred scotch cocktails and specifically the one that is prepared with ginger ale. And she was as tall as me! 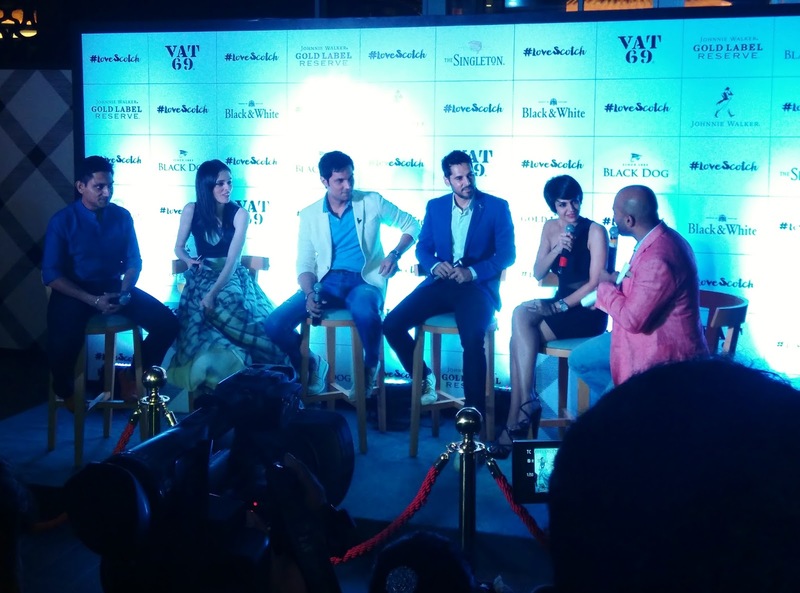 Dino Morea and Randeep Hooda however said they liked both and would choose based on the occasion. 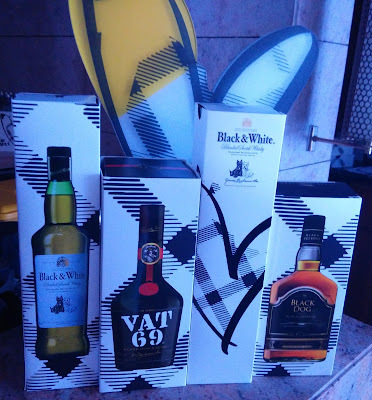 When they are out with company they prefer cocktails but at home when they are relaxing they prefer it on the rocks. 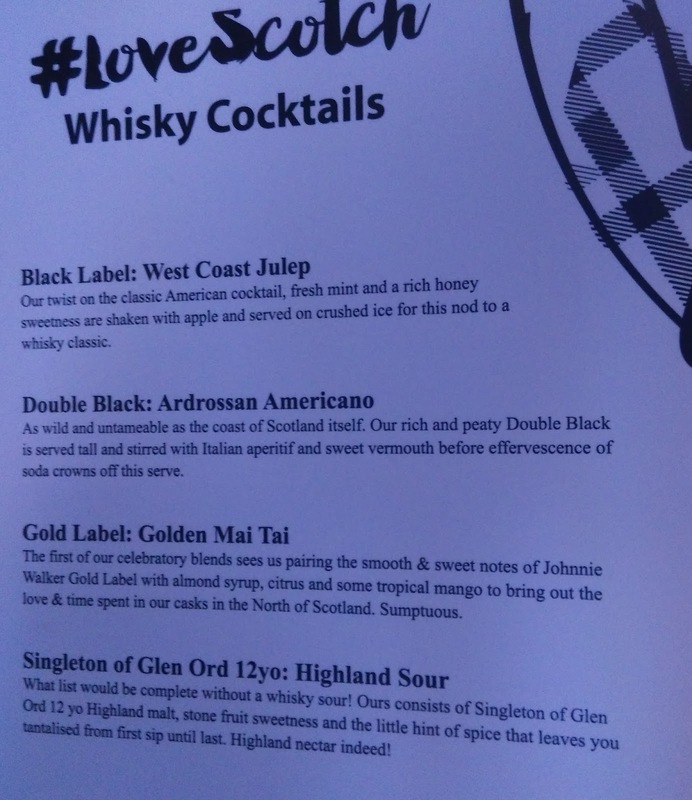 Whisky Sour seemed to be a popular choice. 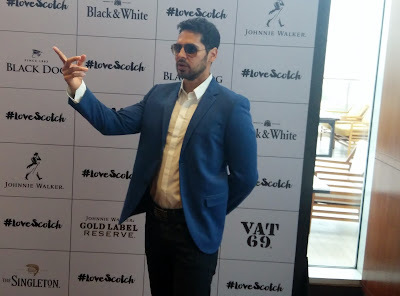 Following the meet and greet, there was the #LoveScotch official launch in Bangalore and the celebrities were joined with Rajiv Mehta who is the Founder of Arvind Mills. Each of them shared their experiences with Scotch. 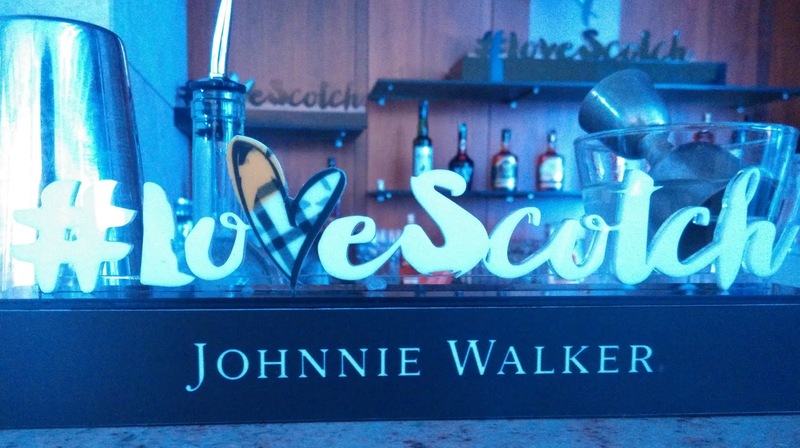 How they become a scotch person, their first drink and their favorite cocktails. 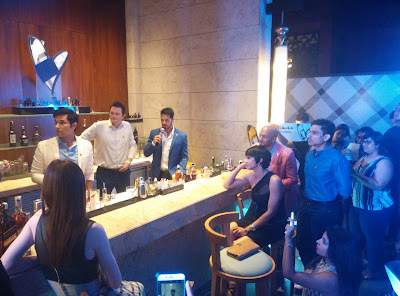 This was followed by the cocktail preparing session by each of the celebrities. Dino Morea and Randeep Hooda attempted Whisky Sour with Singleton in Sangri-La. We then boarded a bus and head to Skye Bar in UB city where Mandira Bedi attempted her own cocktail. The other bar tenders prepared similar cocktails and gave it to the rest of the scotch lovers who were interested in the drink.